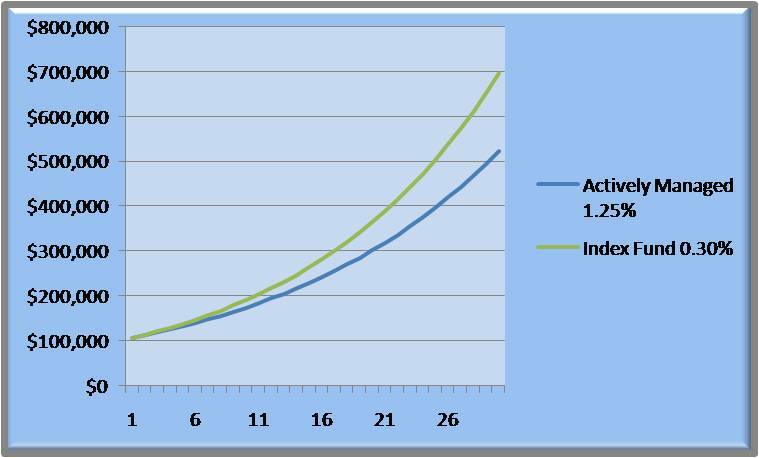 Compound Interest - Friend or Foe - Part IIEliminate The Muda! « You can never earn enough, so quit trying! Do you own a house, carry a mortgage or ever consider buying one? Have you ever looked at a Truth-In-Lending statement for a mortgage? That might be the quickest way to realize how painful interest can be. Over the past few years, interest rates have been low but the long term expense of borrowing can still be great. Let’s take a look at an example. Consider a $200,000 mortgage financed at 5% for 30 years with a fixed rate loan. Over 30 years you would pay $1,073.64 each month totaling $386,513.23. That’s just over $186,000 in interest! Life is good, relatively speaking, when rates are low. To give you more perspective, I borrowed $83,000 for my first house. But at that time interest rates were 11.75%. With a 30 year fixed rate loan I paid $837.81 each month. It would have cost a total of $301,611.88 if I had kept that house. That was nearly $219,000 in interest I was paying for the pleasure of borrowing $83,000! The scary part of these two examples is that mortgage loans, with rare exceptions, are charged simple interest, meaning the interest is charged only on the principle itself but spread over the life of the loan. The “exceptions”, are in part, the reason for our current recession. In the last several years many people took out what were called negative amortization loans. This generally meant, for an introductory time period, the monthly payments were less than the interest due. The excess interest was rolled back into the principle and interest was charged upon this new, larger principle amount. In these cases a mortgage has compounding interest. What’s more scary is how people pay compounded interest on money they borrow every day. While the total loan amounts may be smaller, the relative amount of interest is much greater. The most common example of this would be a credit card. Many banks only require you to pay a minimum payment. This payment is equal to 2%-4% of the average balance. If your average daily balance was $1000 you might be obligated to pay a minimum payment of $20. If your interest rate on that $1000 is 19%, your $20 will hardly scratch the surface of your debt. It will take you almost 8 years to pay off this card and you will pay $998 in interest during this time thanks to the magic of compounding. Even scarier than these visible interest costs are the invisible rates of compounded fees that we often pay. I’m referring to investment fees commonly called investment management fees or expense ratio that are often and conveniently rolled into the numbers of your monthly statement from your mutual funds or broker. Your mutual funds charge a fee on your total portfolio each and every year plus on any growth in those funds. While it may not be “compounding interest” by the strictest meaning of the definition it is in effect “compounding” and it does apply to the “interest” or appreciation of your assets each year. I believe if mutual funds and 401K administrators had to detail how much you actually paid in dollars and cents, many would choose more wisely. To understand the impact I will provide an example of an expensive, actively managed fund vs. an inexpensive index fund. Since 80% of actively managed funds fail to even meet the performance of the market average we will give this fund manager the benefit of the doubt and claim his fund mirrors the S&P 500 performance. Lets’ assume you have $100,000 invested in the S&P and enjoy an average a 7% growth. Our actively managed fund performs exactly the same, the only difference being the cost of the actively managed fund at 1.5% vs. the index fund at .30%. Over a 30 year span of time the 1.2% difference would cost you an extra $173,666 dollars! From this perspective it is clear that compounding interest can be a friend or a foe. It all depends on which side of the equation you stand. Great examples. I’ve always wondered why people keep handing money over to mutual fund managers who fail to keep up with the index funds. Hope you made some profit off your $83,000 home! Did you buy another house? Yes, I made some profit off that house and have had a couple more since then. I am enjoying the 5.25% fixed rate we have today much more! I couldn’t agree with you more. Most people think that compound interest is just magic that happens automatically. They then in fact end up hurting their own best friend. I wrote a post a few months ago called “Destroying Your Compounding Interest” http://evolutionofwealth.com/2009/08/destroying-your-compound-interest/ I’d love to know what you think.